On the flipside, US auto sales jumped up to an annualised rate of 18.6 million. 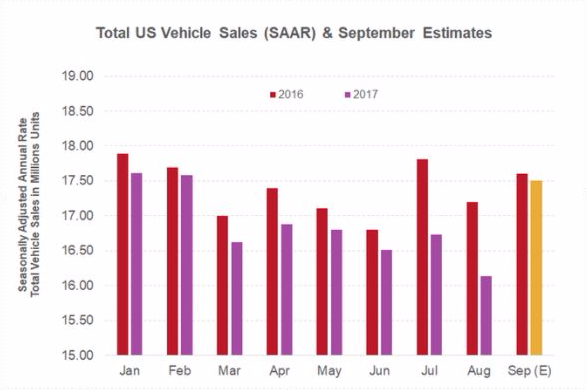 Following Hurricane Harvey, which caused sustained flood damage to hundreds of thousands – if not millions – of cars, the industry appears to be riding the 'replacement wave', with consumers needing to buy new cars, which has culminated in the best monthly auto sales figures for 12 years. Cars are interesting things. They wear out, and styles change. People replace them for many of different reasons, and on a fairly regular basis. Hurricane Harvey has bailed-out automakers, which were having a down year, but chances are many buyers simply pulled forward demand. This means new car sales in areas affected by the storm could dip dramatically after this 'replacement wave' is over. That's very different from the used car market. When people replace vehicles, the old ride goes into the used car inventory. One of the most powerful storms in US history effectively removed all of those cars from that flow, arguably pushing up the value of used cars for years to come. Non-Farm Payroll figures, released each month, always delivers an interesting snapshot of the current state of the US economy. On this occasion, we can see, quite clearly, how strong the impact of natural disasters can be on economies. It's always good to keep an eye on other upcoming market events, like the NFP. Our handy Forex Calendar can help you find such events really easily, check it out! So, What About Tesla's Model 3? The Tesla Model 3 has long been marketed as a breakthrough in car manufacturing. According to Bernstein analyst, Toni Sacconaghi, Tesla's Model 3 might even spur fast adoption of the electric car category among the wider population, he estimates that by 2050 electric vehicles will make up approximately 60% of all global car sales. Despite bright predictions, Tesla delivered only the 17% of the new Model 3 Vehicles it had forecasted. Tesla CEO, Elon Musk, cited production issues as the main reason behind only delivering 260 of the 1,500 Model 3 cars that were expected to be delivered to customers last quarter. Deliveries for the Model S fell 11%, whilst the Model X deliveries beat expectations. It also now appears that Musk is expecting further delays with the production of the Model 3. Regardless of any delays in production, the most important metric for Tesla is the actual production rate. Should Tesla reach its target production rate of 5,000 Model 3 cars per week by December, the number of affected clients would be limited in comparison to the total number of reservations: ~500,000. What Affect Does This All Have on Stock Price? Despite these production woes, Tesla's stock has moved higher after such news. The wider US automotive industry has seen both Ford and GM announce plans to expand their electric vehicle product range. This will be a good challenge for Tesla – can it continue to grow its market share when such large, traditional automakers scale up their production? 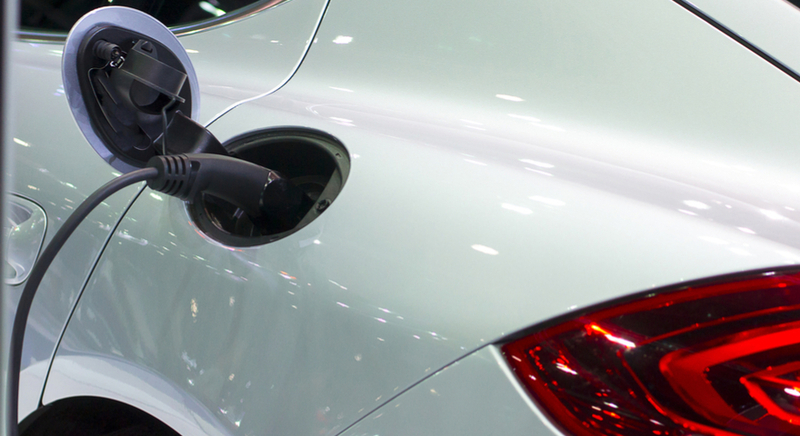 The market for electric cars looks bright, particularly when the solid-state lithium ion batteries come to market – as these batteries carry more power, are lighter and can recharge within 10 minutes – making electric cars even more practical for their users. Even if you don't own a Tesla, you can still trade its shares. Admiral Markets offers you the opportunity to trade the Tesla Motors Inc. CFD (TSLA). 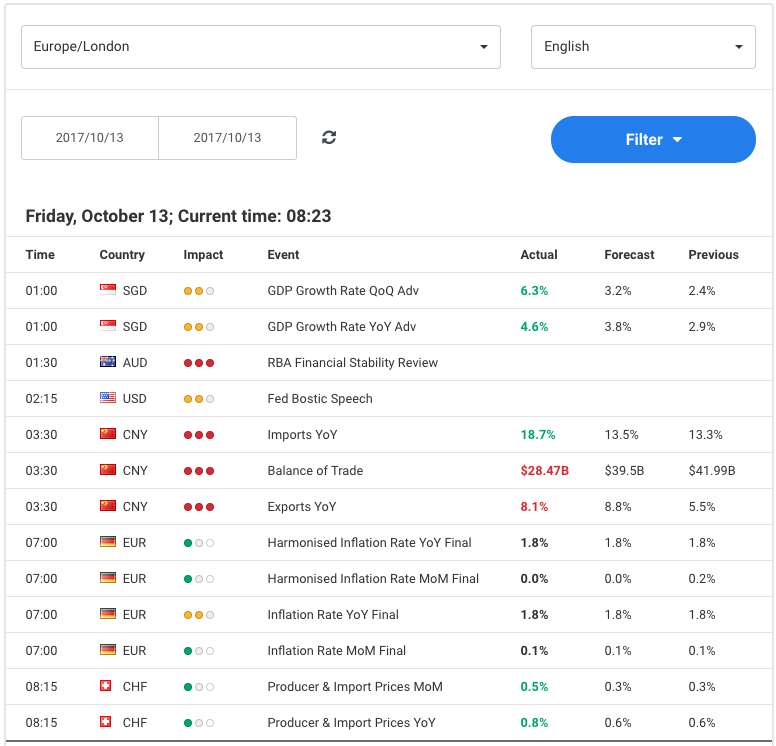 Below you'll see that we had a quick look at the current state of this share CFD for you, using our MetaTrader 5 Supreme Edition– which is free to download. Considering that #TSLA is in uptrend we might see a drop soon, due to concerns of Tesla's ability to profitably manufacture the new Model 3. At this point it looks like the stock might go further up, but if it rejects from 366.90-369.73 it might start a Bearish SHS (Head and Shoulders) pattern towards supports 339.50, 338.58 and 331.66. The break of 331.66 should aim for 320.32 and 309.65.